Sixtyplusurfers has teamed up with Asmodee to offer three lucky readers the chance to win BANANAGRAMS. Addictively simple, and simply addictive, BANANAGRAMS is the fast and frantic word game enjoyed by millions! Players and their opponents aim to use all of their letters to build a word grid in a race to the finish. The first player to use all of their tiles is crowned “Top Banana”! BANANAGRAMS requires no pencil, paper, or board, and comes in a small portable banana-shaped pouch that’s perfect for ages 7 and up. Play it at home or bring it with you when you are on the go. This fast, fun-filled educational word game requires no pencil, paper or board. Perfect for travelling or at home, BANANAGRAMS is the grab-and-go game for the whole family. Get ready – shout ‘Split’ and race to create your individual word grid BANANAGRAMS is an exciting and interactive language game. Can you become the Top Banana? Suitable for 2-6 Players. Price is £11.99. BANANAGRAMS is available from Amazon. Just tell us what word do you shout at the beginning of BANANAGRAMS? 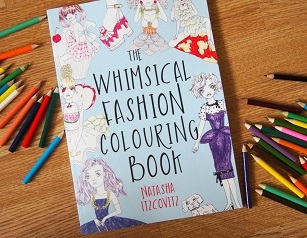 This spring, get colouring and take a break from your computer or smartphone with The Whimsical Fashion Colouring Book by Natasha Itzcovitz. 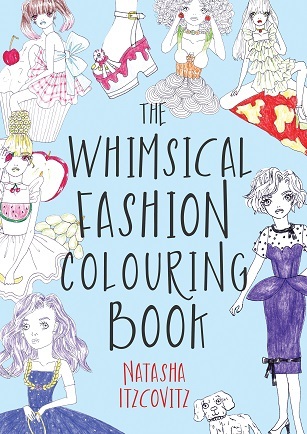 Perfect for all the family, this stylish colouring book includes 100 beautifully drawn fashion illustrations to spark the imagination of everyone who enjoys fashion, history, style and fun to colour in pictures. Illustrations in the book include historical characters, cute animals, fairytale princesses, pirates, people with interesting pastimes and professions, and fashionable street style characters. There’s something in this unique colouring book for everyone of all ages to enjoy and colour in. “Adult colouring books are so much fun and this is a great way for people to see my designs and ideas, some of which I’ve never had a chance to design but have always wanted to share,” explains author, Natasha Itzcovitz. 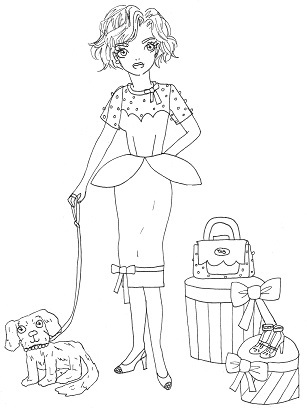 The Whimsical Fashion Colouring Book is published by Troubador. A great gift for children and adult relaxation. It’s the perfect way to get crafty. You don’t have to be an artist, all the hard work is done for you. All you need is a pack of colouring pencils or crayons and then you can enjoy it – even when you’re on the go. Take it with you on holiday or pop it into your bag! So don’t forget to buy your copy today, and get colouring! Price is £8.99. If you enjoy reading Sixtyplusurfers, then tell your friends about us! The more visitors we have, the better prizes we can offer! And also our own Chat & Socialise page where you can post blogs, your favourite photographs, join groups for likeminded readers, and meet people from all over the world. 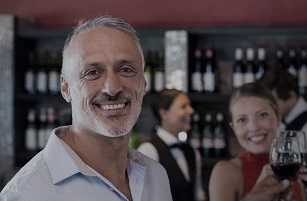 Have your advertisement on the Sixtyplusurfers website – and let our readers know all about you and the services you offer. We can include classified advertisements, reader offers, advertorials, a reader survey, news stories, theatre listings, logos, banners, videos, events and competitions. Please don’t hesitate to ask if you would like to receive a Sixtyplusurfers Media Pack or if you need any more information. We are now compiling the May 2019 issue of Sixtyplusurfers. On this helpful page we’re providing you with links to all of our favourite websites. And to encourage you to use this page, we’re also running two fabulous free to enter competitions. Win a Volkswagen Campervan Toaster from Prezzybox in the Sixtyplusurfers Chat & Socialise Best Photo Competition. We’re also giving away a BANANAGRAMS from Asmodee for three lucky readers! So don’t forget to enter. Handicare and Age UK have partnered to offer excellent mobility products at great prices. Mobility products sold via Age UK Mobility include stairlifts, walk-in baths and showers and rise and recliner chairs. Each mobility product offers safety and reliability, value for money and is easy to use and Age UK Mobility even go as far to offer a low price match guarantee. So if you find the same product and service levels that offer a lower price than Age UK Mobility then they will match the price. Age UK Mobility provide a personal service and the wide range of products that are available can be purchased with added features. They also offer outstanding customer service and customers will be in charge throughout the whole buying process; from the very first visit to the installation of the product. 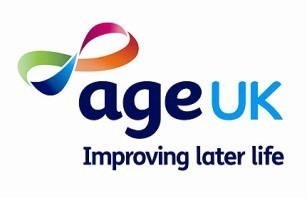 This high customer approval has seen Age UK Mobility receive high praise from Yours Magazine’s prestigious “Yours Recommends” awards, which saw customers give the company 10/10 and rate their experience with Age UK as excellent. Oeco have been supplying garden buildings for over a decade now, and one of their unique selling points is the price you see is the price you pay. 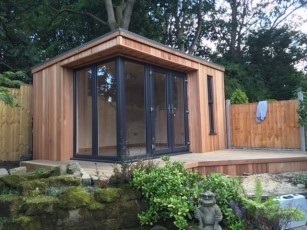 This includes the cost of delivery & installation, which few other garden offices companies offer. Oeco Garden Offices are available in 10 styles: 5 classics & 5 contemporary. The contemporary styled garden offices have Anthracite trimmings along the rooflines and certain outer edges. When Oeco first started installing and supplying in 2006, only a select range of structures was available including garden rooms, offices and lodges with an apex roof. Over the years they have expanded to Garden Pods, which start at a smaller size of 2.5m x 2.5m. There is a large gap in the market for strong and heavy duty garden sheds. Recently Oeco have applied their expertise & knowledge to create a range of designed style garden sheds. While these sheds aren’t in your typical price range for a garden shed, they most certainly aren’t going to blow over in a gust of wind or start to rot after a few years. Fed-up living alone and want to save some money? House sharing is a great option. 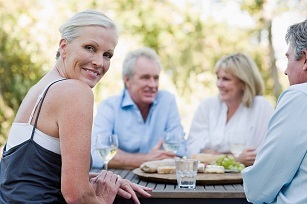 Home sharing, or co-living as it’s called these days, is more and more popular in later-life as it offers not only financial benefits, saving on household expenses, rents and mortgages etc, but also because it offers the possibility of having help around the house and companionship. House sharing is not a new idea, but it is more unusual for older people to house share. However, with an increasing number of people either living in houses that are too big for them and not being able to look after a big house, or living in small one-person dwellings and feeling a bit isolated from other people, more and more people are considering this option. When Nick and business partner Eva recognised that their parents were feeling lonely and that they themselves, now in their 50s, had also found it hard to rent a room they struck upon the idea of creating a service for older people. 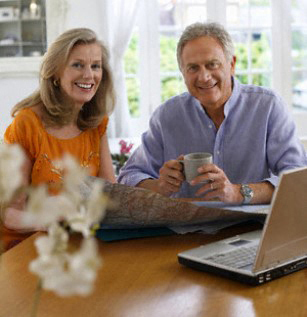 Cohabitas is a house sharing website specifically for people in later life. 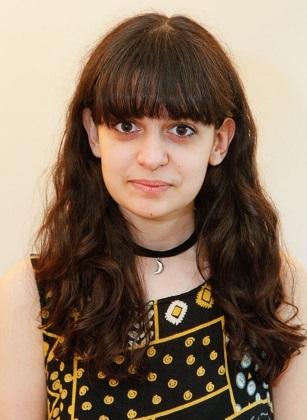 It offers advice and inspiration for those new to house sharing or who haven’t shared for a while, and also connects people looking for a like-minded house or flat mate with those who have rooms. Who is Cohabitas & house sharing for? • Reluctant down-sizers: As a recent Gransnet research report discovered, around 1/3 of people planning to downsize do so reluctantly. Having a lodger allows these home-owners to stay in their beloved home for longer, earning valuable rent and getting some help with chores around the house and the garden. • Live-in landlords: Many people need to have a lodger for some years to help pay their mortgage or rent. Because larger shared flats and houses are cheaper per person to live in this benefits both the landlord and the tenant; it’s just a case of finding the right person. • People who want to save money: there are an increasing number of people in mid to later life who do not own a house or flat and who need to find cost-effective ways of affording a comfortable and secure home. House sharing provides financial savings because it is cheaper to run a shared flat than a single-dwelling. • People who want to have some fun and meet people: even if financial reasons are not top of your needs, then having company and enjoying life is important. People increasingly choose to live in larger flats and houses with others to allow them contact with others. 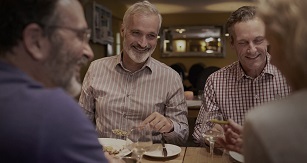 Especially after retirement, divorce or separation, building new social connections is key. • People who want to relocate to a new area: moving into a shared house or flat is a great way to get to know a new area. Your house mates can give you advice on where to go and even introduce you to local clubs and services, making the whole thing seem less stressful and challenging. Have you had a good look at your toenails recently? It’s not a very glamorous subject, but you may have noticed a bit of discolouring of the nails or that they have become cloudy. As we get older, we also become more susceptible to nail problems. Other health conditions can also give rise to changes in the nail appearance. New Abicin lacquer is a natural based product which utilises the antifungal properties of Norwegian Spruce Resin. It has been developed by Finnish Scientists who recognised the traditional use of Spruce Resin in Finnish folk remedies. Having analysed the composition of the resin, they identified the reasons why it acts on both bacteria and fungi – including the ones responsible for nail infections. These occur as a result of infection of the keratin layer under the nail by a fungus called a dermatophyte. These infections can be difficult to treat and may affect up to 10% of the population in the UK at any one time. Their incidence increases with age. If you are aged over 60, there is a one in five chance you will have a nail infection and if you have diabetes, this increases to a one in three chance. Half of those aged over 70 will have a nail infection. For the first time, a naturally sourced antifungal lacquer has been shown to be effective in clearing fungal nail infections, cleanly and simply with a twice a week usage. Treat your toes to a naturally based remedy. Time to give Abicin a try before it needs tablets. Please use the promotion code SURFER10 at the checkout to get an exclusive 10% discount on the website purchase price. Send in the ‘Best Photograph’ of the month to the Sixtyplusurfers Chat & Socialise page and you could win this super cool Red Volkswagen Campervan Toaster from Prezzybox. Sixtyplusurfers has teamed up with Prezzybox to offer one lucky reader the chance to win an eyecatching Red Volkswagen Campervan Toaster. Give your kitchen a slice of retro fabulousness with Prezzybox’s Volkswagen Campervan Toaster! Featuring the VW camper van design in striking red and silver, it’s the perfect stylish addition to any home! The VW toaster is officially licensed and has four handy settings – defrost, reheat, bagel and browning, and a two slice function for all of your breakfasting needs. The ideal treat or gift for camping connoisseurs, or those who delight in VWs. Who doesn’t? Grab your camping gear, and get toasting. Just kidding. Bread will do! This month, to celebrate the spring and the lovely warm weather, we would love to see all your fabulous photographs. All you need to do is get our your cameras and smart phones, take some stunning photographs and then post them in the Photograph Gallery on the Sixtyplusurfers Chat & Socialise page. 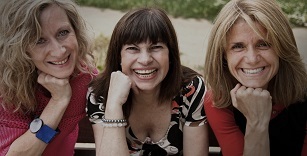 We’re looking for a photograph that will dazzle and brighten up our Chat & Socialise page. And also one that has a story to tell. Make it eyecatching, interesting and stunning. Something really special. It could be a picture showing beautiful flowers, some colourful plants growing in your garden, the birds in the park, some sheep, cows or wild animals in the countryside, or a local riverside scene. 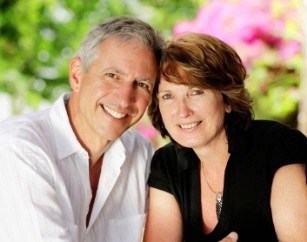 Perhaps you have a picture of your grandchildren or a recent family celebration. Maybe you have had a party or gathering with family and friends. And you’re all having fun together. Or maybe you have recently been on holiday and have some photos of somewhere that you have travelled. Have you been on a cruise, had a sightseeing holiday, climbed a mountain, had a UK break or visited a place of unspoilt beauty? We’d love to see some pictures. Your entry might show a local beauty spot with ducks, lake, trees, flowers and wildlife. Or maybe a harbour or seaside which you have visited with your partner or dogs. We would also like to see pictures of your pets. 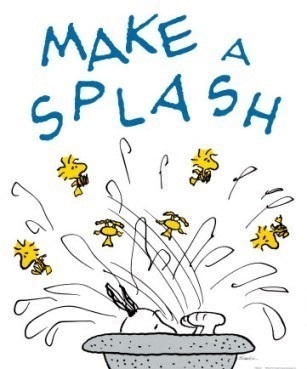 So if your cat is snoozing on the kitchen table, your dog is splashing in the garden pond, your rabbit is looking cute and cuddly, then please send it in. And if there is a story behind your photograph, then we’d love to hear about it. You can include a description with your photograph. Tell us where it was taken, who are the people or animals in your picture, and why you like it. We would also encourage other readers to make friendly comments about the photographs in our competition. The photograph must be all your own work, or one that a family member or friend has taken. All Photographs MUST be posted in the Photograph Gallery on the Chat & Socialise page to be in with a chance of winning the prize. There is no limit to the amount of photographs you can send in. The more the merrier! But we do stress that all entries must be your own work! We will choose the best photograph at the beginning of May – so get out your cameras or mobile phones and start snapping. Enjoy some fresh air and take some great photographs! We’re looking forward to seeing some interesting pictures. And please read our terms & conditions thoroughly before you enter the competition! You must be a member of the Sixtyplusurfers Chat & Socialise page in order to enter the competition. If you have not already done so, you will need to join first. This is Free of Charge and simple to do. First click on the Chat & Socialise page link here and this will take you to the log in page. Next fill in your email address, and create a password. You will need to type this in twice. Then fill in your birthdate, and answer the simple question. Then click on the words ‘Sign Up’. This will take you to a new page. Then enter your ‘Chat Name’ – this can be your real name or a nickname which you are happy to use. Then tell us your gender, select a country, and fill in the box which says ‘Tell us about Yourself’ with your hobbies and interests. This will become your profile. Then attach a profile photo if you have one. This can be a picture of yourself, a flower, musical instrument, your pet, or something which tells us a bit about you. You can use Google Images for inspiration. When you have finished click on the words ‘Join’ and you are ready to start. * Don’t forget, all entries must be posted in the Photo Gallery on the Sixtyplusurfers Chat & Socialise page to be in with a chance of winning this fabulous prize. 1. All entries must posted in the Photo Gallery on the Sixtyplusurfers Chat & Socialise page for your chance to win the Red Volkswagen Campervan Toaster from Prezzybox. 2. The prize is a Red Volkswagen Campervan Toaster from Prezzybox. 3. One winner will be chosen by the Editor of Sixtyplusurfers, together with an independent team of judges at the beginning of May 2019. The Editor’s decision is final. 4. 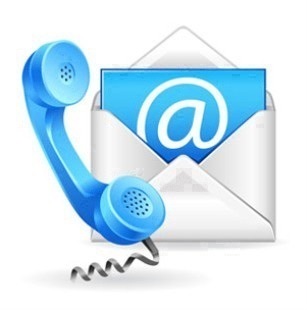 If you have any problems sending in your entry to the Chat & Socialise page or signing in as a member, just email jennyitz@hotmail.com and we will help you with any difficulties. 5. This competition is open to our UK readers only. 6. Any data collected from this competition will be deleted after the competition prizes have been dispatched. It will not be shared with any other parties. If you love animals look out for Malcolm Welshman’s brand new book, An Armful of Animals. And catch up with the fabulous Dora’s Diary every month on the Sixtyplusurfers Pet Care page. Personalised gift supplier GiftPup.com offers a free online Personal Shopping service which suggests beautifully crafted and personalised gifts based on the relationship with your recipient. The website is loaded with 1,000s of gifts, so there is plenty to choose from. Each week more and more gifts are added – most recently a selection of beautifully crafted engraved glassware.